This is a criminally under-used pairing since people often shy away from combining similar colors. But that’s exactly the reason it works. Blue and purple—and all their shades—are next to one another on the color wheel, so they’re pleasing to the eye when next to one another in real life. Of course, it helps that both the grape sofa and Prussian blue walls are slightly blackened and have high saturation so neither one dominates the other. Chances are if two hues appear together in nature, they’ll jibe indoors, too. In the Southwest, sagebrush and clay are a familiar sight, but the color sage got a bad rep in the ‘90s for being too muddied and ubiquitous. Today’s take has a little less gray in it so it’s more upbeat. A Goldilocks orange—not too dusty and not too bright—is in lockstep with the green. As in so many schemes, a bit of color that’s either stronger or paler than the rest provides pleasing contrast. Cobalt fills that role here. 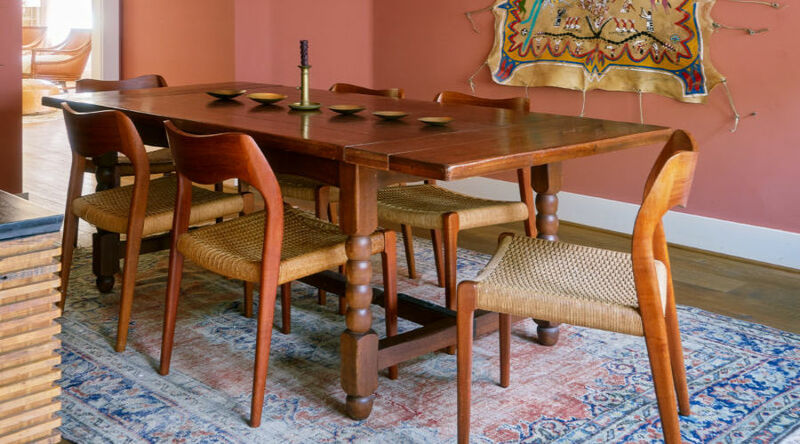 Ever notice how one super-bright piece of furniture in a room of neutrals looks garish, but pair it with other strong hues and the effect is somehow less jarring? That’s because like goes with like. A piece in a pure color—meaning no black, white, or gray has been added—needs other pure colors of equal saturation to harmonize it. 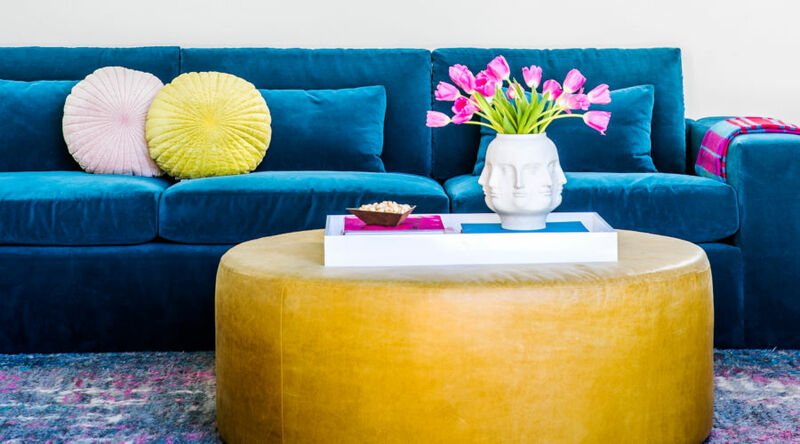 Here, little doses of magenta, citron, and blush balance the azure sofa. A gray tint on the wall provides the necessary visual calm. Cover up the red stool in this photo and what do you have? A perfectly beautiful pastel scheme. But take your hand away and the room gets a boost. 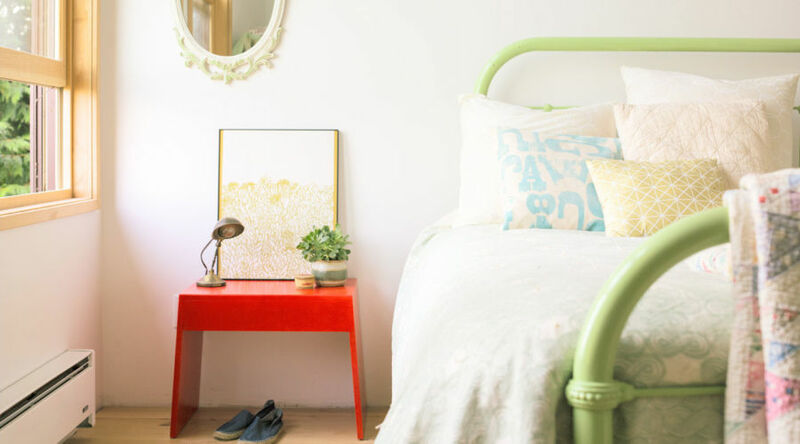 Here’s why: The soft blues and greens on the bed are cool colors, meaning they roughly correspond to “cool” things in the world like ice or trees. Red is a warm color, which means exactly the opposite: colors that correspond to fire, the sun, etc. In a room full of cool colors, one strong hit of a warm one provides contrast—what designers call a “pop” of color. The phrase may be tired, but the concept never is. Are you sick of Millennial Pink yet? We hope not, because the rosy hue is surprisingly versatile, blending into palettes of almost any iteration. (Prove it to yourself: Mentally add a small touch of it to any of the images shown here and judge the result.) It takes on a larger role in this bedroom, teaming up with an elephant skin gray to calm down the riot of jade and cyan colors on the wall. 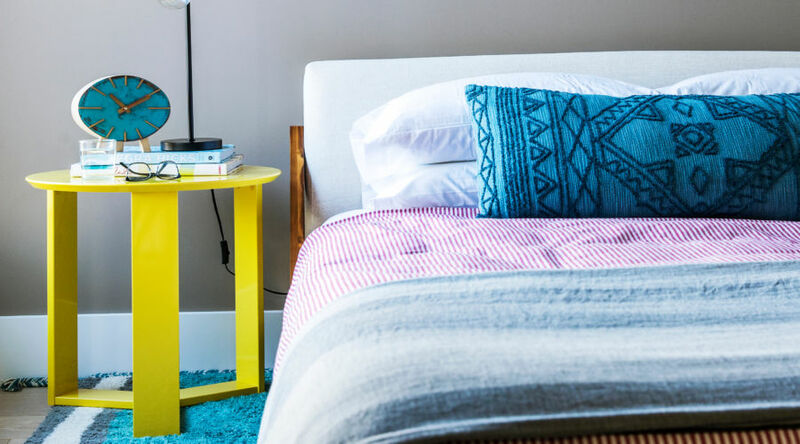 Pulling some of the blue onto the bed with a throw is a smart way to balance the room overall. This strong yellow is not for the weak-hearted, and even the bold smartly limit it to just one eye-popping accent. A look at the color wheel makes sense of the rest of the palette: Blue is just one spot removed from being a complementary color to yellow, so they tend to play well together. 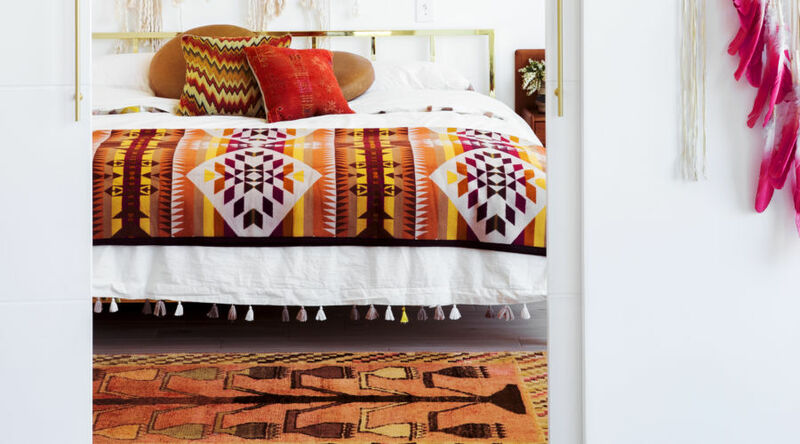 Red is next to yellow, a cozy relationship that translates to interiors, too. The real risk here is the taupe wall. If it were a little warmer, it would compete with the yellow. But the undertones are cool so the wall reads like a gray hue—a classic partner for yellow. You know the phrase “tone down?” In color theory, it essentially means “add gray,” which weakens a hue’s strength. It’s the mechanism that turns red into this beautiful terra cotta color. 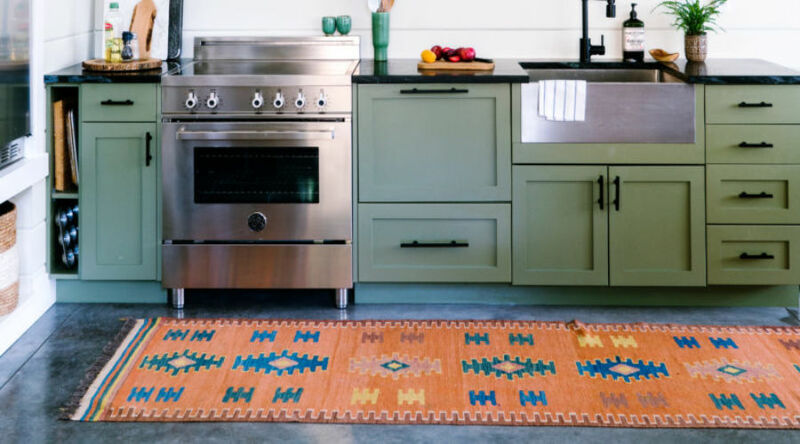 The strong blue in the rug is a knockout pairing. (These images are proof that there’s a blue for every palette). On its own, that sophisticated duo is enough, but the line of high-voltage jade painted on the hide is the X-factor that launches this room to the peak of style. You’d think a palette in shades of one color would be no-fail, but it’s surprisingly tricky to pull off. 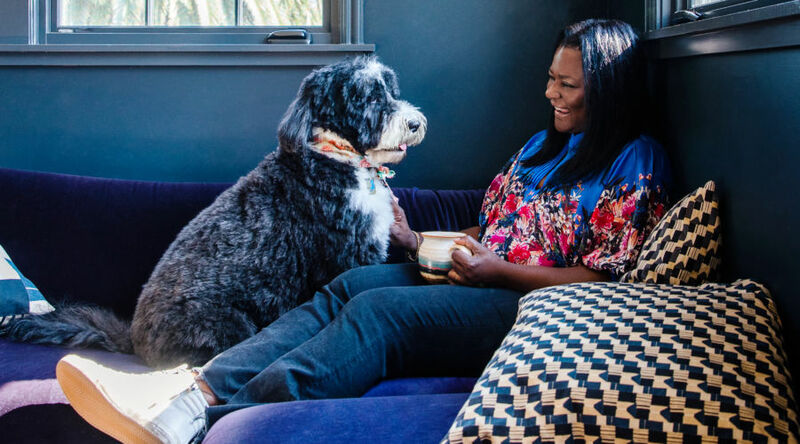 Here’s the secret to acing it: Choose your textiles, furnishings, and accents first. You’ll be limited by what’s available at retail (unless you go custom) but you can match paint to what you find. It’s difficult to do the reverse. 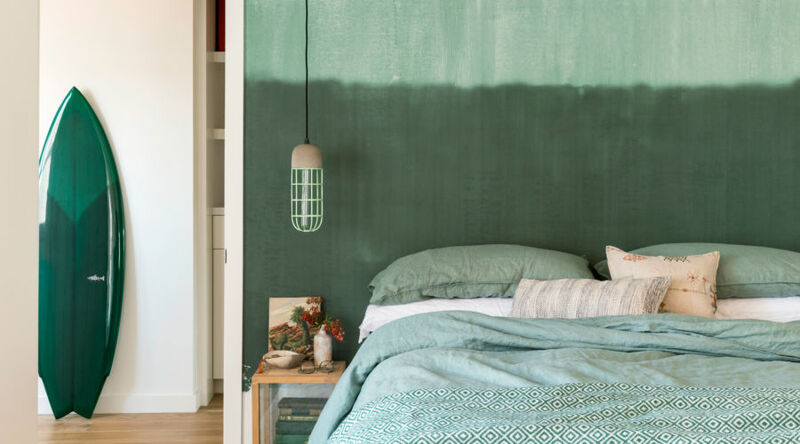 This designer used an ombré wall finish to liven up her palette (just pick colors from the same paint strip to ensure they work together), but a large piece of art would work the same magic without the learning curve. This trio is plucked right from the warm slice of the color wheel (to get nerdy: it’s an analogous palette), which is a no-fail way to find an interesting scheme. Try it out the easy way: Buy one can’t-miss-it piece that has every color you’re curious about. Add it to a mostly neutral room and live with the effect for a while. If you like it, add more in small doses. If you don’t, jettison the piece. Aqua can go juvenile really fast without the toughening influence of black and white. 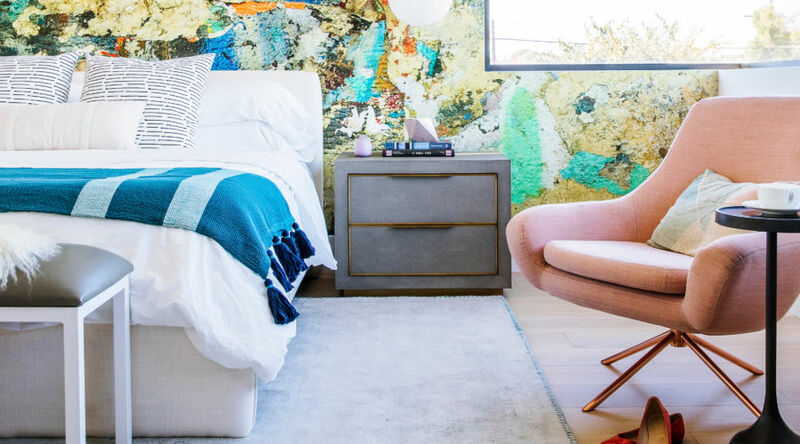 The wallpaper stands up to the eye-popping bed frame, both in hue and in aesthetic. A bit of chartreuse in the quilt is exactly the out-of-left-field touch that energizes the whole thing. A trial-and-error approach is the best way to land on an accent like this (though it helps when a buyable item has done the work for you).